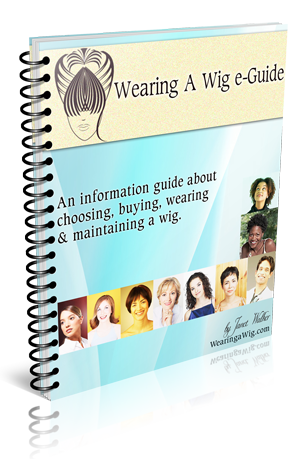 You have more freedom when it comes to styling and restyling a human wig. Therefore this section is a little on the short side. You can use your heated styling tools, you can basically style as if you where styling your own hair. When I was running my store, I had a customer who told me she dyed her wigs different colours. Dying your wig is not something I would recommend, however if you did give it ago then I would advise you to do a strand test of the wig hair first. The best way is to do a strand test. Cut some strands of hair from the underneath back section of the wig. At least this way you can be sure of the final results before you proceed or not. Be aware though that if your dye strand test does work, always do another strand test when using another colour or different wig, just to be on the safe side.